Doctors and scientists increasingly suspect attacks with unconventional microwave weapons as the cause of the mysterious ailments that have stricken more than three dozen American diplomats and their families in Cuba and China, The New York Times reported Sunday. The victims reported hearing intense high-pitched sounds in their hotel rooms or homes followed by symptoms that included nausea, severe headaches, fatigue, dizziness, sleep problems and hearing loss. A medical team that examined 21 of those affected in Cuba did not mention microwave weapons as a cause in a study published in March in the Journal of the American Medical Association. But its lead author, Douglas Smith, the director of the Center for Brain Injury and Repair at the University of Pennsylvania, told the Times that microwave weapons are now considered a main suspect and that the team is increasingly sure the diplomats suffered brain injury. "Everybody was relatively skeptical at first," he was quoted as saying, "and everyone now agrees there's something there." Neither the State Department nor the FBI has publicly pointed to microwave weapons as the culprit, and the Times said there were many unanswered questions as to who might have carried out the attacks and why. 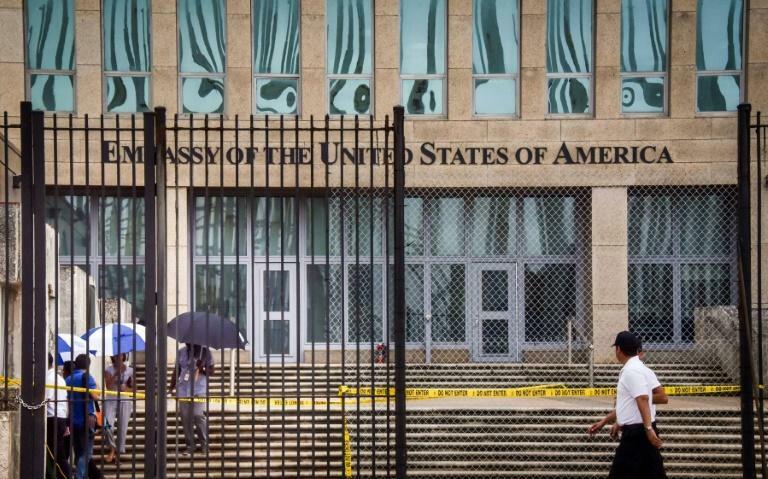 After holding Cuba responsible for either carrying out the attacks or failing to protect American officials, the US in September 2017 recalled more than half of its staff from the embassy and expelled 15 Cuban diplomats from Washington. Cuba has firmly denied any role in, or knowledge of, the incidents. In June 2018, the State Department announced it had sent home US government personnel from China after they reported eerily similar incidents. According to the Times, an American scientist, Allan Frey, first discovered in 1960 that the brain can perceive microwaves as sound. His discovery opened a new field of research that ultimately led both the United States and the Soviet Union to explore microwaves' potential use in unconventional weapons. The Russians dubbed the class of envisioned weapons as psychophysical or psychotronic, according to the Times. It said the US Defense Intelligence Agency warned in 1976 that Soviet research on microwaves showed potential for "disrupting the behavior patterns of military or diplomatic personnel." A National Security Agency statement obtained by Washington lawyer Mark Zaid on behalf of a client described how a foreign power built a weapon "designed to bathe a target's living quarters in microwaves, causing numerous physical effects, including a damaged nervous system," the Times said. The US military also researched weapons applications of microwaves, with the air force winning a patent on an invention shown to beam comprehensible speech into an adversary's head, according to the Times. Navy researchers explored the use of the Frey effect to induce sounds powerful enough to cause painful discomfort, and even immobilize the subject, it said. The Times said it is not known if Washington deploys such weapons.